1. How to travel with a potty training kid? 2. How to potty train multiple kids with only one bathroom? 3. How to potty train kids with autism? 4. 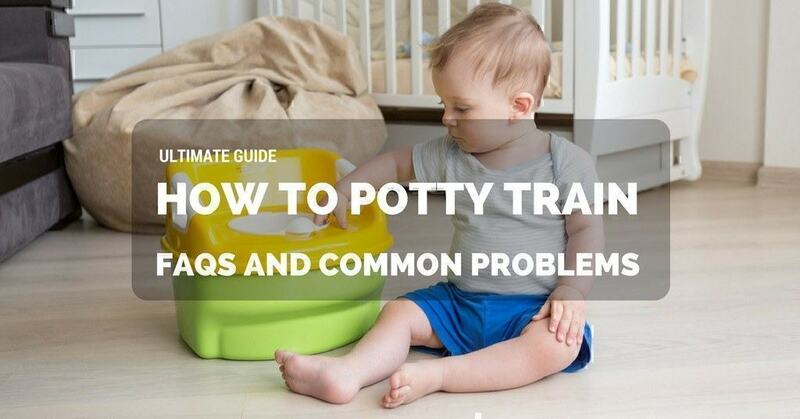 When to start potty training? 5. I have trouble potty training, what should I do? Aside from the unnecessary expense (they could use up at least four nappies in a day unless you’re using cloth diapers), it’s also more convenient if your little one already knows how to use the toilet. It may not sound like a big deal when you’re not a parent yet, but as a first-time mother to a toddler, it feels as if I somehow won the lottery. Yes, the sense of accomplishment is that incredible. The thing is, I’m sure other mums have told you, it’s not easy. There’s never such thing as someone just breezing through the process. If there is, it’s one in a million. Any mother I talk to says the same thing: it’s messy and challenging. It makes them feel capable which in turn, enhances both their confidence and self-esteem – two important traits in growing up. Do you remember those times when you told your child “Good job” and they beamed at you with so much happiness? They have a certain sense of accomplishment – the kids know they’ve done something major and it makes them feel more confident in anything that they do. Keep in mind, however, to avoid scolding them if they commit mistakes during the process because that’s like going against what we’re trying to achieve here. It asserts their autonomy and independence because it makes them feel like they’re already “grown-up girls or boys.” Especially for toddlers, they now want to try and do everything – from feeding to putting their clothes on. If they’re potty trained, they can add that to the list of things they can do without your help. Because this is an important life skill, learning it will also improve their social status. Assuming they’re att﻿e﻿nding daycare, they might experience peer pressure if they’re the only one not toilet-trained. It is a fun way of potty training your little boys. The smooth curvature bowl prevents any splashes or spillages, and it even has a spinning water wheel. It also comes with a storybook, chart and some stickers which you can use to make training interesting and creative. It is an improved version of the Froggy Model – it’s 40% larger and safer (the previous one had leakage problems which could lead to injury). It’s easy to clean and lightweight. It has three mounting options: suction cups, adhesive wall hooks or screw-type mounting plates. This flexibility allows you to secure it no matter what type of bathroom wall you have. It’s portable and removable, so basically you can transfer it to another bathroom easily. It helps motivate little boys because the stickers serve as a ‘reward.’ Also, you tend to pique their interests with the story and chart. Remember, kids learn best through play. It doesn’t have to be serious all the time. There’s minimal mess because of the splash guards. The suction cups and wall hooks do not adhere well to textured surfaces. You may need to use screws. You need to rinse it after use. It prioritises the comfort and safety of your baby. It has a sturdy construction with ergonomic design, high backrest, comfortable arm rest and no sharp edges – just soft lines. 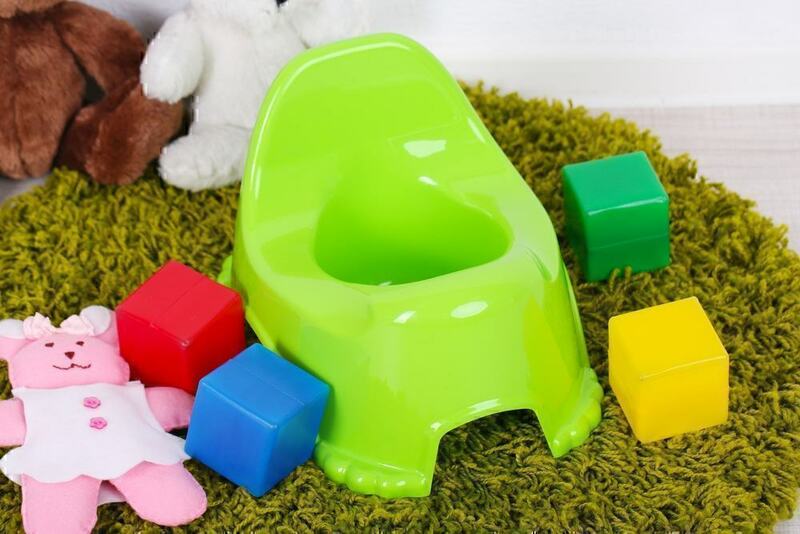 You can pull out the inner potty seat for cleaning. It also contains a splashguard that helps prevent spills. It has adequate leg room which makes it easy for the little one to sit down and stand up. It’s comfortable enough even if your toddler would sit on it for extended periods of time. Because it doesn’t have grooves, dirt cannot build up around it. It’s not easy to trip even when the child tries to. It also has a rubber grip at the bottom so it can stay in the same spot and it keeps it stable too. It’s simple and straightforward – intended for potty training and doesn’t have too many distractions. It keeps your child’s focus. It boasts of high quality and it’s not flimsy. It holds up well even after several years of usage. It doesn’t have any small detachable parts. It may not be ideal for smaller children. If your kid is on the thinner side, there’s the possibility of falling in. The splash guard might make it difficult for girls to sit on it. 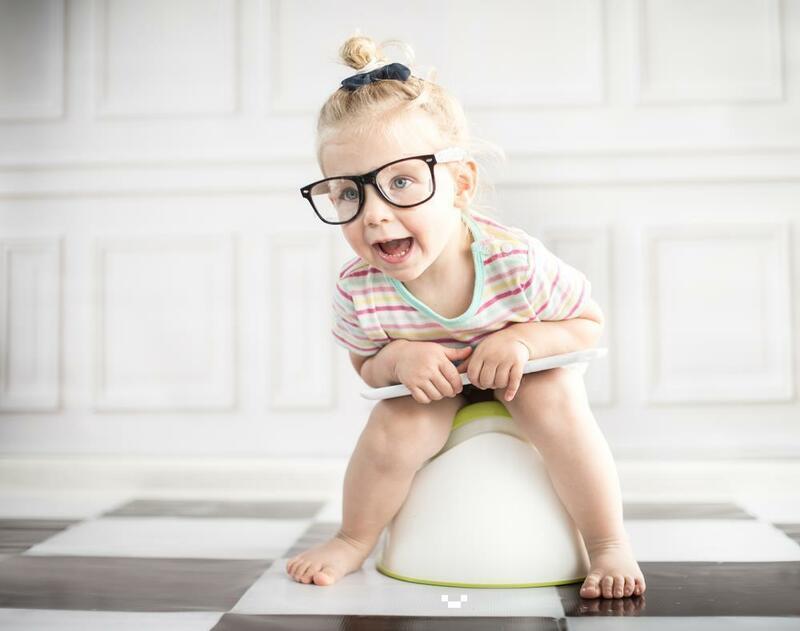 This best-selling potty trainer has high back rest for maximum support and comfort. It’s similar to the other product but with slight differences in size and other design specifics. It’s perfect for little girls because of its cheerful, vibrant and bright colors. It’s light enough for the kids to carry it and dump the contents into the toilet. Overall, this trainer featured a sturdy construction and made of high-quality materials. The design is simple, and there aren’t many nooks and crannies which might cause a build-up of too much dirt. It doesn’t have bells or other small toys which the child might lose. It’s easy to clean, and it has no distractions like sounds or beeps. Some dirt might collect at the white insert though which is why you need to deep clean everything at least once a week. It’s a bit heavier and bulkier than the Bjorn. The seat is broad, and it’s probably not the best product for slimmer toddlers. Once they’re potty trained with these products, they can now advance to using soft potty rings which you can just place on top of your toilet. Some even come with ladders so you can teach them how to go to the bathroom and use the toilet on their own. After waking up, take off their nappies and tell them you won’t be using it for the rest of the day which is why when they pee or poop, they have to do it in the bathroom. 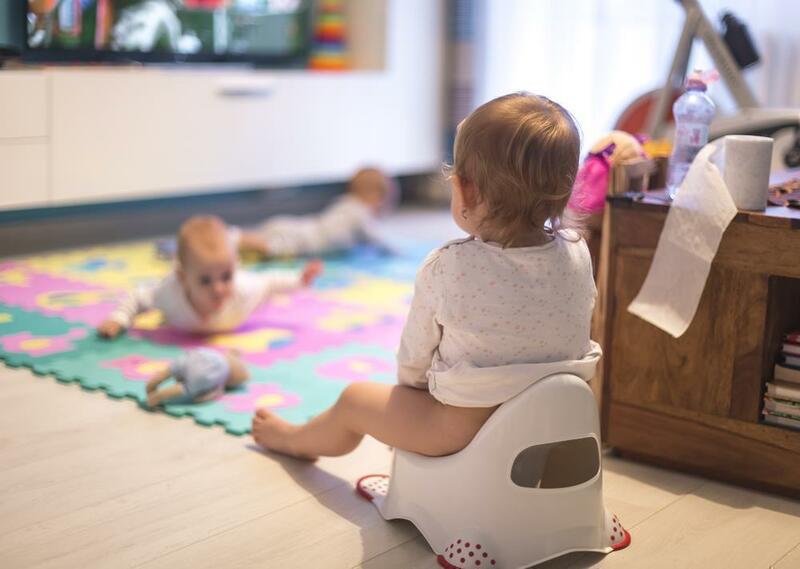 While waiting for their next pooping or peeing session, do a variety of activities like learning to play simple musical instruments or reading their favourite books (not the bedtime stories). Just remember not to give them something that’s hard to get away from like a full two–hour movie. Preparation includes allowing the toddler to practice sitting in the potty for about 5-10 minutes. This is an important step. I remember one hurdle I encountered during our potty training – after a minute, my boy would suddenly tell me he's done. And when I check the potty, there’s no poop or pee. One method that worked for me was giving him a book to read, or letting him watch videos on my iPad. I don’t typically allow that, given that I have strong opinions against toddlers using gadgets but this is one of the few exceptions. Besides, it’s not going to last forever, just for the time you’re training. Aside from the one mentioned above, another way to prepare your child is with the help of visuals. You can download potty training videos or read books of their favourite characters pooping or peeing. This will give them an idea of what they need to do. At this stage, avoid setting any expectations because chances are, you won’t see that much progress yet. That’s okay because you’re still prepping them. Also, explain how the toilet works like how to flush and what happens to the poop. Prepare a potty training chart similar to what I showed earlier. You can purchase stickers to mark them or simply put a smiley face each time they successfully use the potty. As to the rewards, you can give them whatever they like. My son isn’t much of a sweet tooth so giving him chocolates isn’t a good option. Every fifteen minutes, let them sit on the potty for about 5-10 minutes. This is the hard part. Again, do what you can to keep them there – read books or watch videos. However, the fifteen-minute interval is flexible. My boy got annoyed when we had to do it that close so I tried 25 minutes, and it worked. Do what works for your child. The important thing is how long they stay on the potty. 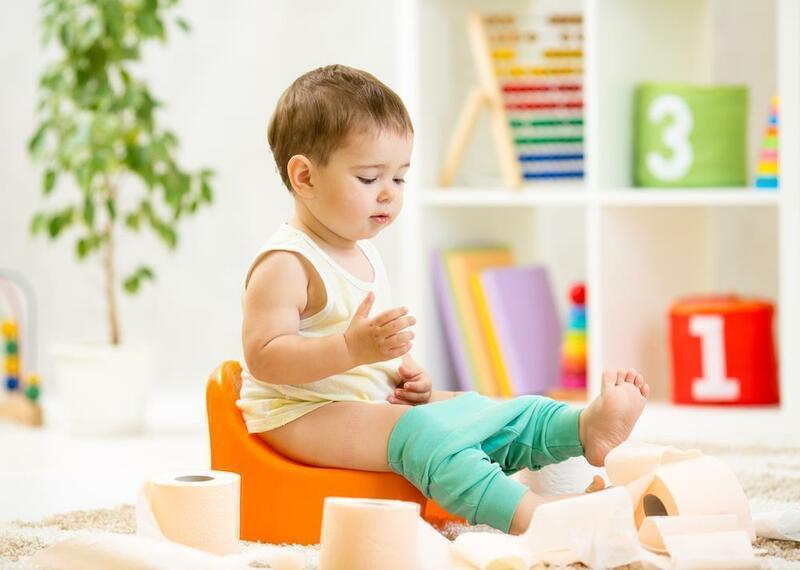 Give them more fluids than usual and the moment they start showing signs that they need to go to the bathroom, whisk them to the toilet immediately. Yes, this is why you need to monitor them and pay attention. If they pee or poop, give them a reward or praise them – a little “hurray” goes a long way. But don’t overreact since they might feel deflated if there’s nothing on the potty. If accidents should happen, explain again where the poop and pee need to go – the toilet. But don’t scold or shame them. You see, even if you finish the training, don’t expect them to be potty trained 100%. They might still have accidents now and then, but most of the time, they will opt for the toilet instead of nappies. There are plenty of books and guides for potty training, but I firmly believe that the best tips come from those who experienced it first-hand and there are no better ‘advisers’ than fellow mothers. There’s nothing quite like a big smile and hug from mummy and daddy. You see, if they don't usually get rewards, you can just do whatever parenting style worked for you in the past. Sure, bribery does wonders but so can undivided attention. Talk to them about fears. It’s natural for kids to get scared of things they’re not used to. They still don’t have a full understanding of the concept of pee and poop and sometimes, the potty might look scary too. The best way to handle this is to ask them what makes them feel afraid and try to explain to them in the simplest terms possible. Always remind them that they need to go to the potty. Often, they get so busy with playing or doing stuff that they forget it’s time to pee or poop and they might end up doing it on the floor. You can set the alarm every 15 minutes and tell them, or you can walk with them towards the bathroom or wherever the potty is. Help with their aim. Another tricky part in potty training for boys is they seem to want to pee everywhere. What you can do here is place some Cheerios into the toilet so they have something they can use as a target. There are products like urinals for kids with spinning wheels in the middle to help improve aim and focus. With the cover seat, you need to stop at gas stations or public restroom which isn’t the best option for most mothers. You have to prepare yourself to deal with accidents, though. If you’re using bribes and rewards, continue doing so. One mum suggested the use of potty stools since you wouldn’t need to buy another trainer. The kids will go directly to the toilet – the same one mummy and daddy are using. The first thing to look at is your child’s readiness. While some kids are ready by the time they're 18 months old, there are those who can begin earlier or later. Just like with every milestone, there’s no such thing as one exact age for every baby. If your child refuses to use the potty, they’re probably not yet ready for it. That’s pretty much the gist of it. Their readiness is an important factor for the success of potty training. If you’re using soft covered seat, the child could also be afraid of the toilet which isn’t surprising at all.